Valley Roofing Is A Roofing Company You Can Trust! 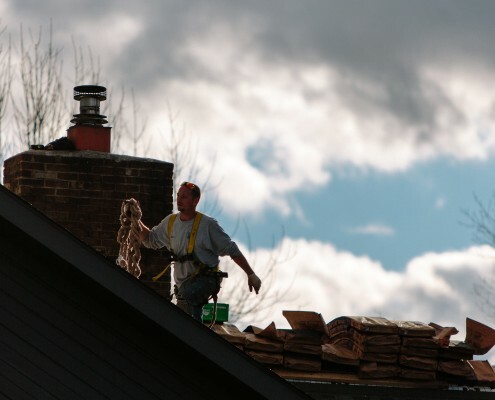 We started Valley Roofing in 2004 to fill a need in the Harrisonburg area for a high-quality shingle roofing company. Our reputation for quality, dependability and speedy service spread rapidly. For the next three years, we completed twice the number of roofs as the previous year. We began offering our services to existing homeowners in addition to the new home contractors we had been serving. We moved to our present location in Harrisonburg, VA and continued to grow, completing over 100 roofs each year. We started offering roofing services in Page, Shenandoah, Rockingham, Albemarle, Nelson, Highland, Green, Orange, and Augusta counties. We qualified as a GAF Master Elite Installer which shows our commitment to providing quality roofing in the Shenandoah Valley for years to come. This Master Elite certification is an acknowledgment from our product manufacturer, (GAF), for our accomplishments as a superior roofing contractor. It is a stamp of approval to provide the best factory warranties to our customers. Our ability to provide these warranties means that GAF trusts us to install these products in such a way that they are willing to stand behind our work and their products. We started offering a complete line of seamless gutter products and services to our area. We also became an authorized contractor for Velux Skylights. We started installing standing seam metal roofing. These durable roofs often last over 100 years when properly maintained. We started offering flat roof services in addition to our steep slope work and became a GAF Certified Master Contractor for TPO Roof Systems. We expanded our services into windows, doors and some minor carpentry work. We also discovered one of our specialties – building roof deck systems. 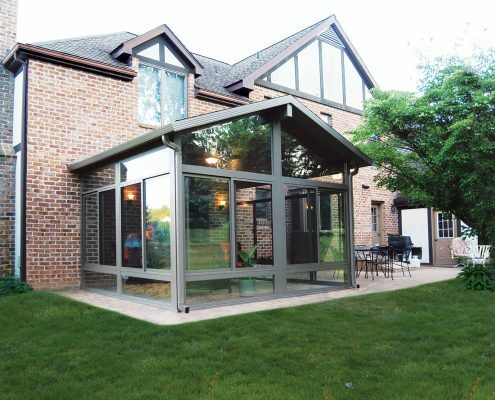 We partnered with Betterliving Sunrooms to offer beautiful sunrooms, screened rooms, patio rooms, and enclosed porches. As our company continues to grow we strive to maintain the highest level of quality and customer service possible. We look forward to the coming years and the changes that may come. We anticipate a future with an understanding that God has been the major part of our success and that He will be the foundation of our future! It is the mission of Valley Roofing to provide quality roofing services to our customers in a timely and professional manner. Our hard-working, certified, and friendly staff bring our customers the best in roofing through exceptional workmanship, various warranties, and guarantees of our work. 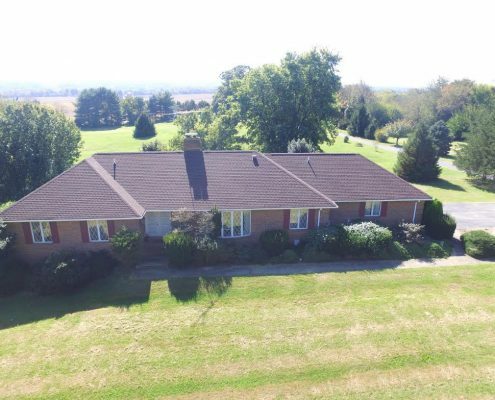 It is our goal that every customer associates Valley Roofing with quality, integrity, dependability, and sees a company who is striving to honor God in all that we do. The company culture at Valley Roofing encourages excellence through teamwork, a friendly work environment, and dedication to hard work. Our crews are the greatest asset at Valley Roofing. Each crew member is trained and certified in GAF’s installation methods. They work as a team to complete your job in a timely manner and take the steps to protect your property during the job. We hire only people we are certain you can trust to be at your home, and around your family. From our no-smoking policy to our uniformed dress code, we work hard to create a company of people you can trust. Expert Installation and Solid Warranties. Valley Roofing offers an unbeatable warranty on designer shingles – the Golden Pledge Limited Warranty offers lifetime material defect protection with 100% coverage for the first 50 years, and up to 25-year workmanship coverage backed by GAF, the nation’s largest roofing manufacturer. 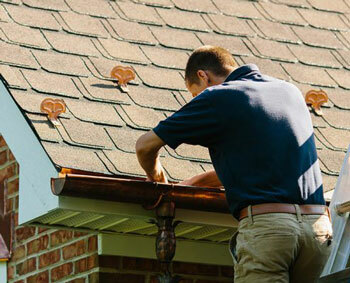 A Successful Roof Repair Starts With Your Installer. At the core of any successful roof repair is an experienced, competent installer knowledgeable of the different types of roofing. The Many Faces Of Copper Roofing. Thinking copper for your next roof? 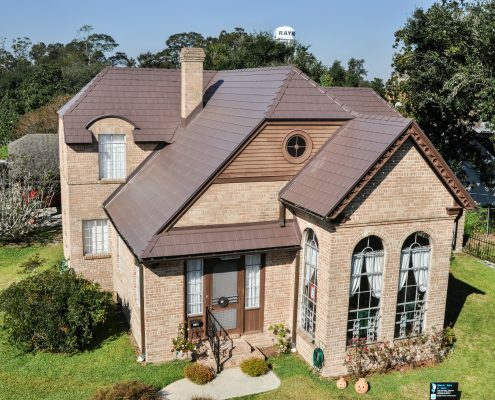 Copper roofing adds earthy appeal to high-end homes. What Happens When A Roof Is Installed Poorly? When a roof is installed poorly, it can create nightmarish situations with water seeping into your home and structural damage costly to repair. The Latest Sunroom Design Trends! A well-designed sunroom is the perfect space to enjoy a cup of coffee, entertain friends and family, and even play games. Gutter Cleaning – What NOT To Do. 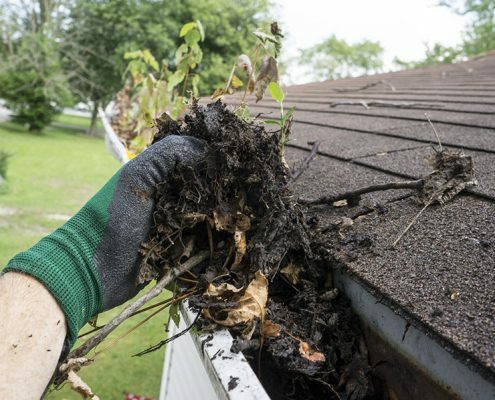 Gutter cleaning can be a tedious chore that pops up on spring and fall cleaning lists. The beautifully wooded landscapes of the Shenandoah Valley are partially to blame for the frequency of this chore which often takes longer than you expected. 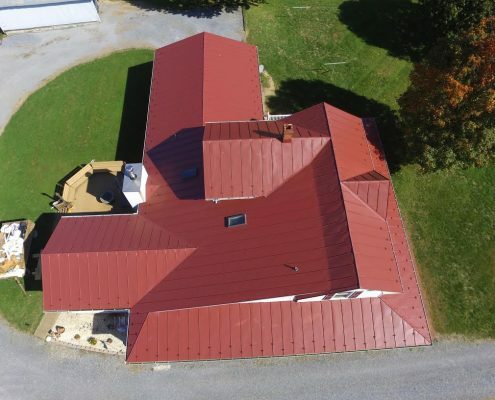 Why Metal Roofing Is A Top Design Trend For 2018. Metal roofing has been an industry standard for years. 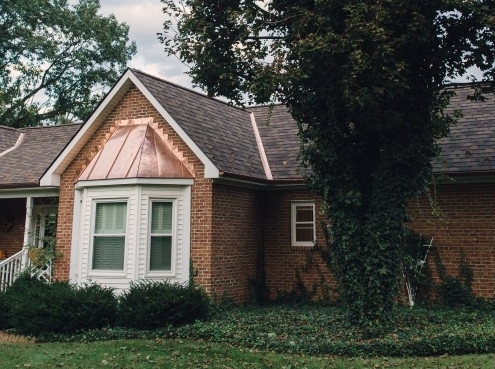 Galvanized metal roofs once dotted farmhouses up and down the Shenandoah Valley and even historical homes in downtown Harrisonburg and Staunton. 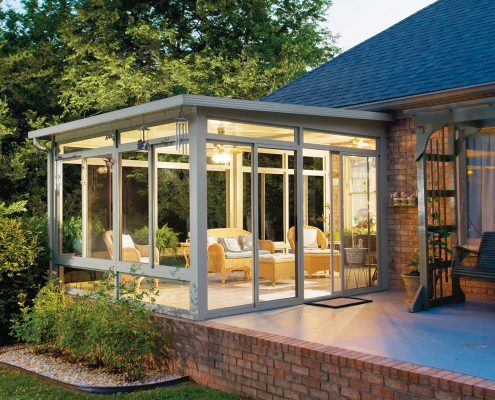 The First 3 Steps In Planning Your Sunroom Addition. Building a sunroom is an exciting opportunity to expand upon the square footage of your home with a beautiful room ideal for relaxing and entertaining. 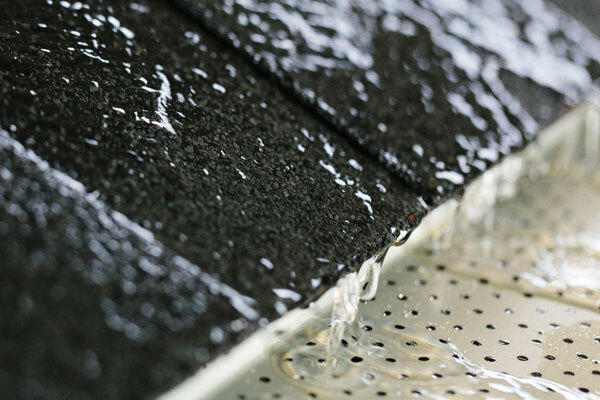 How Gutter Guards Simplify Home Maintenance. Gutter guards mount over gutter openings and prevent leaves, debris, and even critters from lodging in your gutters. Learn About Roofing Materials So You’re Prepared For Your Project. If it’s been a long time since you purchased a roof, or if this is your first purchase, you have a lot to learn. A roof is a significant investment and should be researched properly. Ask questions of friends and family and discuss your project with a professional. Use this guide as an added resource. Gutter guards are an effective tool in keeping organic debris from building up in your gutters. Add Gutter Cleaning To Your Spring Cleaning List. When you’re planning your Spring projects, make sure you put gutter cleaning on your list. Whether you do it yourself or hire a professional, plan on cleaning your gutters twice a year. Are You Ready To Work With A Roofing Company You Can Trust? I would like to sign up for the monthly eNewsletter.